Life can be pretty stressful and fast moving, particularly in today's technological society. What are some ways that you unwind after a busy day? Have you ever considered aromatherapy? Scientific evidence supports the use of aromatherapy to help your body relax and de-stress and also to help improve your mood. With today’s fast paced technological society many people are looking for alternative ways to de-stress and unwind after a busy day. Scientific evidence supports the use of aromatherapy to aid relaxation and for improving your mood. When you feel better a number of other positive effects flow on to positively impact one’s overall physical and mental health. It is believed that the inhalation of essential oils (true unadulterated plant based essential oils and not perfumed oils which are synthetic) stimulate the part of the brain connected with smell. This causes chemicals to be released which can make you feel a certain mood like relaxed, calm and or invigorated. How you feel depends on which brain receptors are triggered. Aromatherapy is a beautiful way to support relaxation and contribute to overall wellness. It is an affordable, readily available and suitable experience that can be enjoyed by everyone in many different ways. Not everyone will respond the same way to a particular aroma so it pays to experiment first to find what works best for you. Essential oils such as Lavender, Bergamot, Geranium, Lavender, Mandarin, Neroli, Sandalwood and Ylang Ylang are some examples of essential oils that are well known for their calming and soothing properties. These oils can be used individually or be blended with other compatible oils. They can be incorporated in massage oils, be added to bath water, be used in a diffuser, personal inhaler or added to a home-made room spray. They can be added to a tissue or handkerchief or be inhaled directly from the bottle. The effect of the oil will be made even stronger when a relaxing scent is associated with the feeling of calm. This can be achieved by using the oil whilst in a relaxing environment complete with appropriate lighting, heating and perhaps subtle music to create the mood. Essential oils should never be applied to the skin undiluted and it is always important to check precautions prior to use. Some oils may change the effectiveness of conventional medicines and may not be suitable if you are pregnant, breast feeding or have particular allergies or medical conditions. If you are not sure check with a suitably qualified pharmacist or doctor before using. 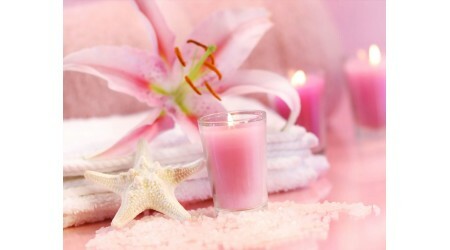 Aromatherapy does sometimes have side effects however, they tend to be very mild and do not last long. For centuries aromatherapy has been and continues to be an important component of healing, beauty treatment and body care. If you haven’t already, take a moment now to consider how aromatherapy could be incorporated into your life to benefit you today.